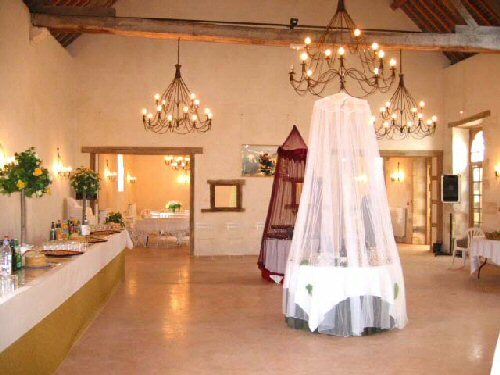 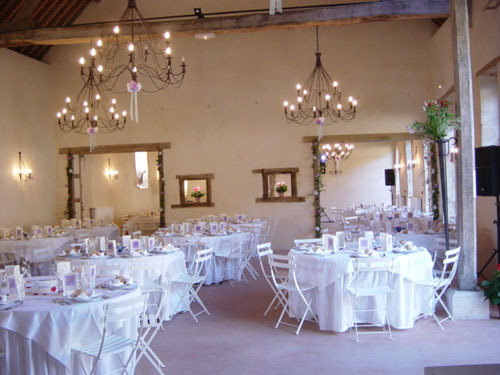 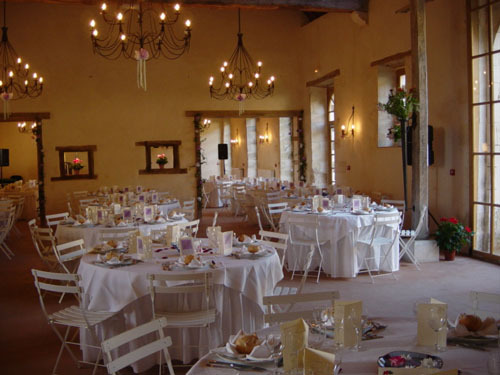 -The main hall, with its exceptional design, has a total area of 130 m² (1400 ft²) and can comfortably seat 130 people. 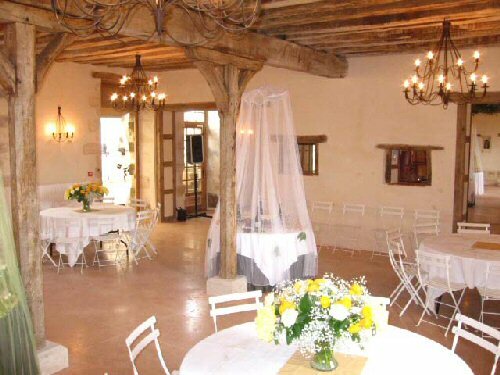 It communicates with the smaller hall and opens out onto the courtyard of the Communs with access to the restrooms. 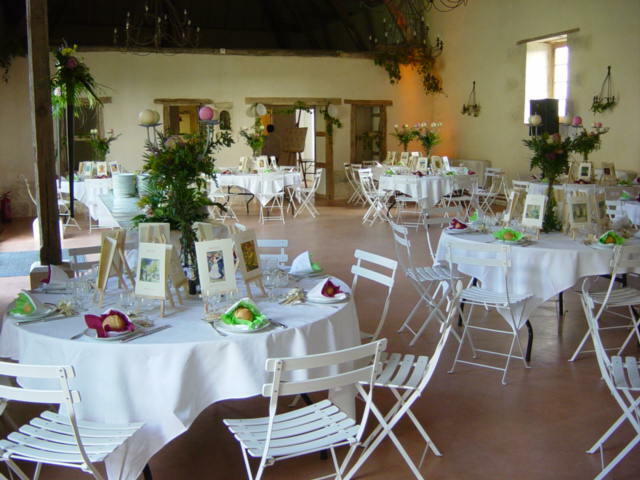 The interior courtyard of the Communs, with its view over the dove-cot, allows the organisation of the cocktail outside. 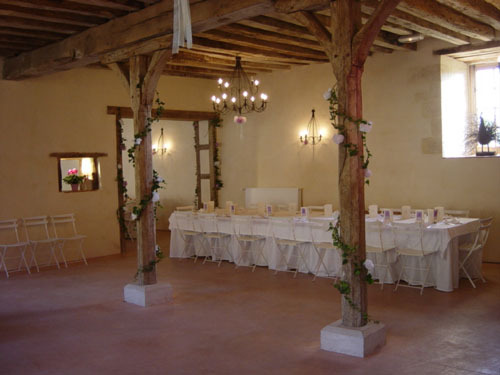 -The smaller hall, with an area of 83 m² (900 ft²), has the capacity to seat 83 people. 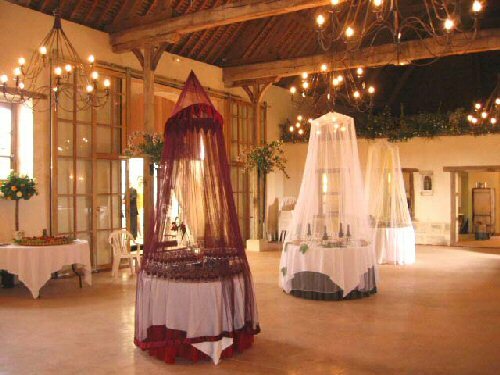 It opens out onto the courtyard of the Communs and communicates with the main hall. 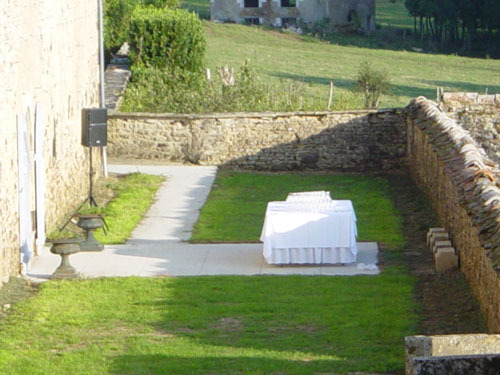 The interior courtyard of the Communs, with its view over the dove-cot, allows the organisation of the cocktail outside. 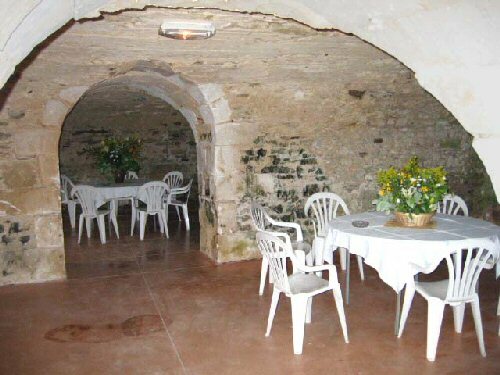 -The three cellars are accessible from the reception hall or from outside via the terrace (south facing with view over the river). 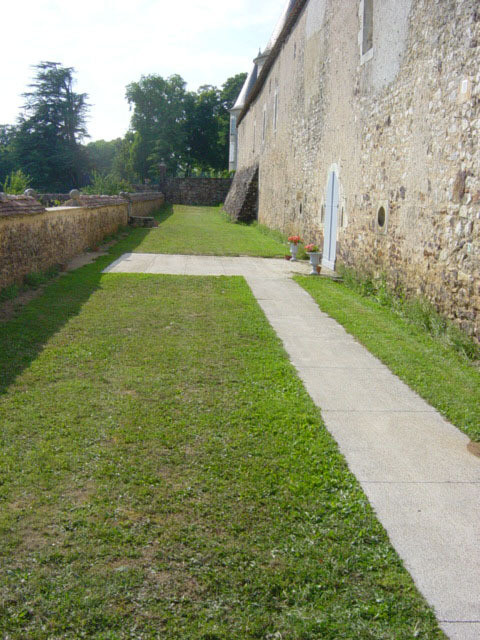 The two of them, terrace and cellars, form an ideal place for the organisation of the cocktail either inside or outside.